NOTICE: Click here for the new Alumni Association Website. The Alumni Affairs Office is responsible for enriching the lives of graduates from The University of the West Indies, St. Augustine by engaging all of you via a series of events and programmes that will reconnect you with your old friends and classmates, your home Campus and the wider regional alumni community which numbers over 100,000 strong! So fill out the form on this website to provide your updated contact info and we will be sure to stay in touch! The University of the West Indies Alumni Association (Trinidad and Tobago Chapter) is an autonomous membership-based organization created under the University’s Charter to ensure that you, our graduates, continue to have an active and productive impact on your alma mater. 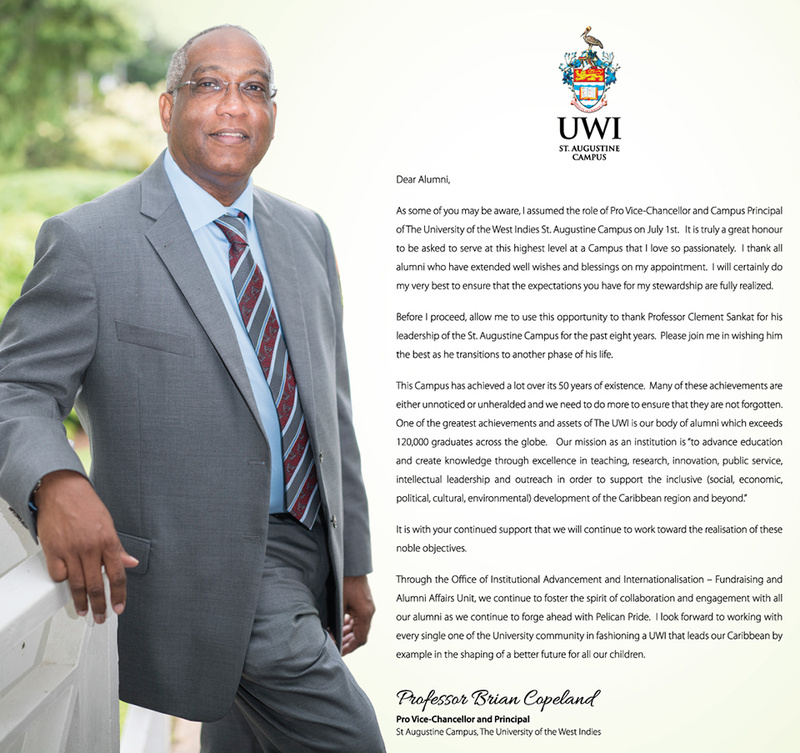 It is committed to giving back to the UWI through its mix of fund raising and student development programmes such as its Wine and Cheese Festival, Independence Cruise, Student Mentorship and bursary programmes. For more about the UWIAATT visit www.uwiaatt.org. Title Mr. Mrs. Miss Ms. Dr. Prof.
© 2004 - The University of The West Indes. All Rights Reserved. Disclaimer | Privacy Statement Telephone: (868) 662-2002 Fax: (868) 663-9684.